The 2019 model of the BMW 2 series has standardized certain driver aids, including lane-keeping assistance, parking sensors on both ends of the vehicle, and mitigation of forward collisions. Other than that, the model remains about the same as it has been in previous years. Has the 2 Series Lineup Changed? There are two main types of BMW 2 Series vehicle's available: a coupe and a convertible. The coupe is compact but comes with a high-performance engine, which takes the vehicle from 0 mph to 60 mph in less than 5 seconds. The vehicle is also extremely agile, using the same responsive handling systems that made BMW a leading player years ago. 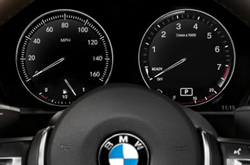 The 230i coupe comes with a Bluetooth audio system, a USB drive, and an in-dash CD player. Convenience features include keyless entry, vehicle and key memory, and trunk release. There's a rear view camera system, along with stability and traction control. The 230i xDrive coupe is the same as the previous trim, but it adds 4-wheel drive and a mechanical center differential. The M240i coupe is the next tier up, and comes with a great deal more features. It has SiriusXM satellite radio, aluminum trim, and an auto-dimming rear view mirror. The driver's seat has adjustable lumbar support. There are also accents added to the vehicle body to make it more visually powerful. 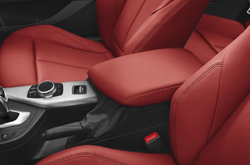 The passenger seat also has power adjustments, and the tires are made for performance. There are two engines available for the 2 series. 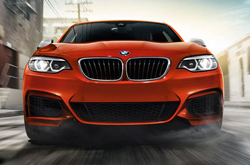 The 230i has a standard four-cylinder engine, while the M240i has a thrilling turbo engine. This engine accelerates you from 0 to 60 in about five seconds, boasting 248 horsepower, and is paired with an eight-speed automatic transmission. This engine easily has the might to get you wherever you're going. The M240i has a much more exciting, performance-based engine. It comes with a turbocharged 3.0-liter six-cylinder engine that can get the coupe or convertible from 0 to 60 in about four seconds. With 335 horsepower under the engine, you'll feel like the most powerful thing on the road. 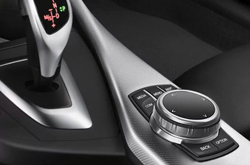 The BMW 2 Series has a number of different safety features. There's a comprehensive set of airbags. You also have electronic stability control and brake assisting technology. Your turn signal is integrated with the mirrors. There's also traction control. If you begin to depart from the lane, the vehicle sounds a warning. In 4-wheel drive trims, the vehicle has additional traction control to assist you in all kinds of weather. The vehicle performs well in tests regarding crash control and protection, notably having a strong roof. Check out our inventory of new vehicles to see what is available. If you have any questions, feel free to contact us.